Guest Post for Sum Sum Summertime! 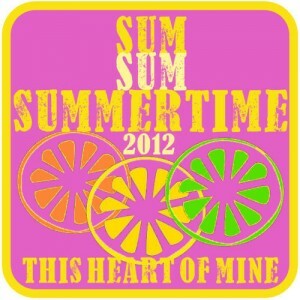 Another summery post for you, today at this heArt of mine. Amy is hosting a fun summer series with everything from food and fashion to gift ideas and artwork. I’m sharing a really simple and fast summery accessory. It’s a rectangle vest with a twist! 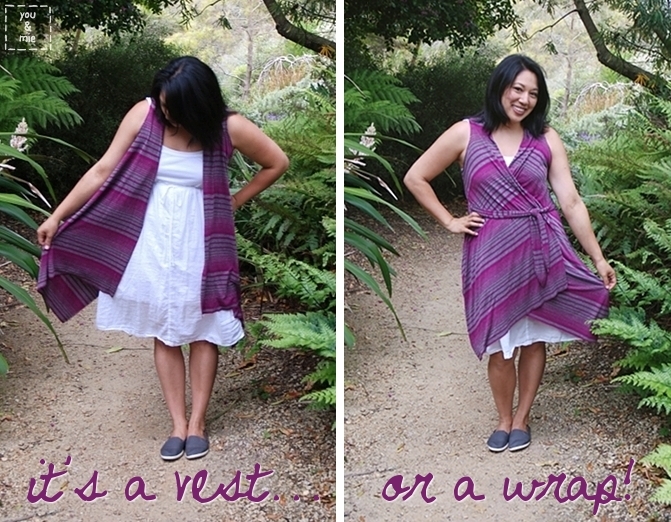 It can be worn as a vest, a wrap, a bathing suit cover-up, etc. – it’s quite versatile! So hop on over to this heArt of mine for the short and sweet tutorial. This entry was posted in guest post and tagged cover up, summer, tutorial, vest, women's clothing, wrap by Cherie. Bookmark the permalink. y si le quitamos la parte de atrás ,modificamos ligeramente el cuello ,tenemos un delantal muy moderno.Usted desde que la descubrí no deja de sorprendernos.No estaba de viaje? So cute (yet so simple!). I wonder what shape it’d need to be to actually cover the booty, because this could be so awesome as an easy summery dress too! Ooh, I don’t know but I definitely want to explore that idea! !